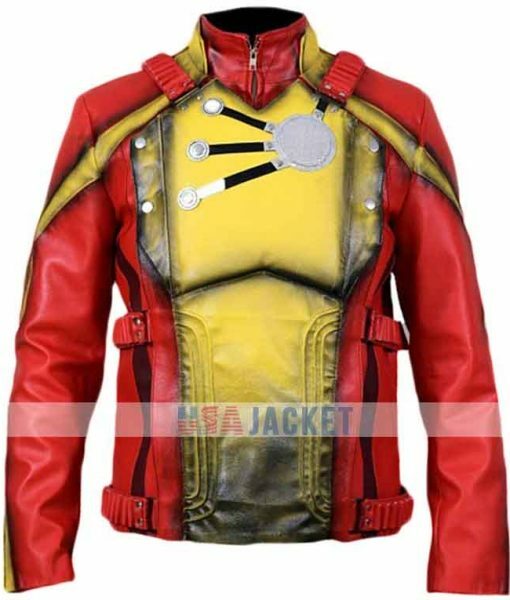 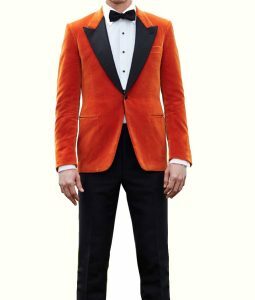 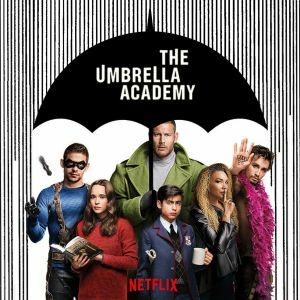 Firestorm Jacket is a gimmick from Legends of Tomorrow Film. 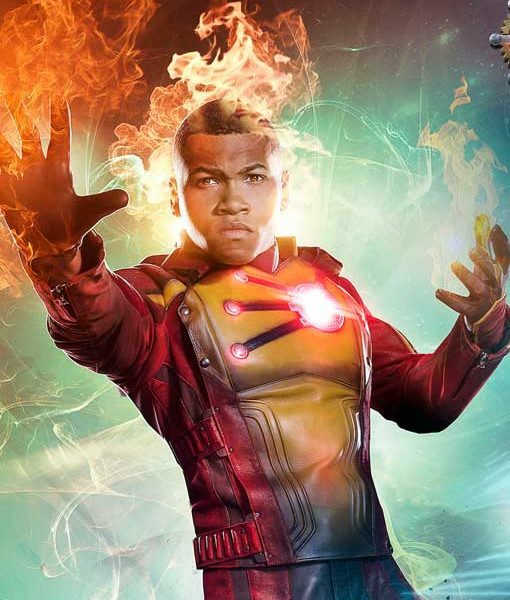 This attire has been worn by Franz Drameh as Jefferson Jackson / Firestorm. 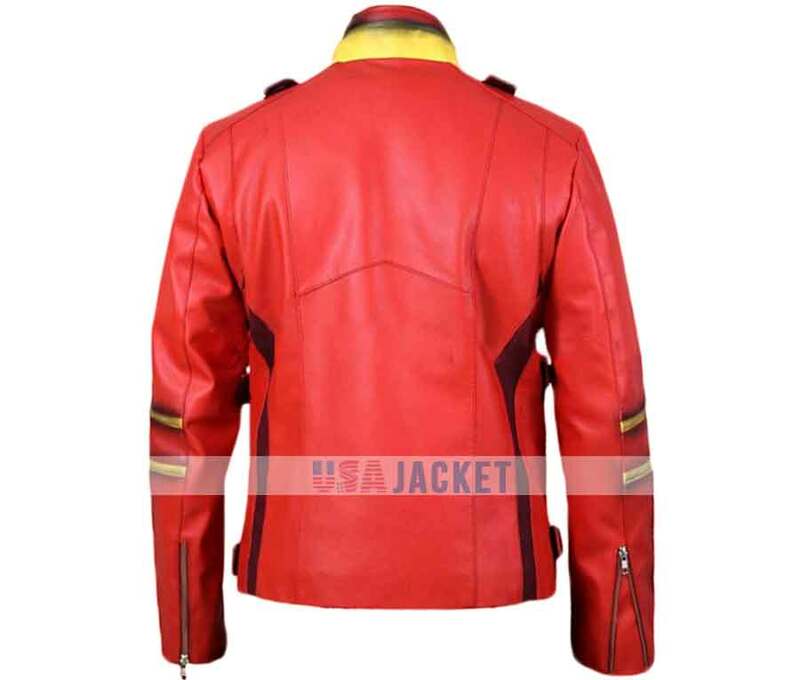 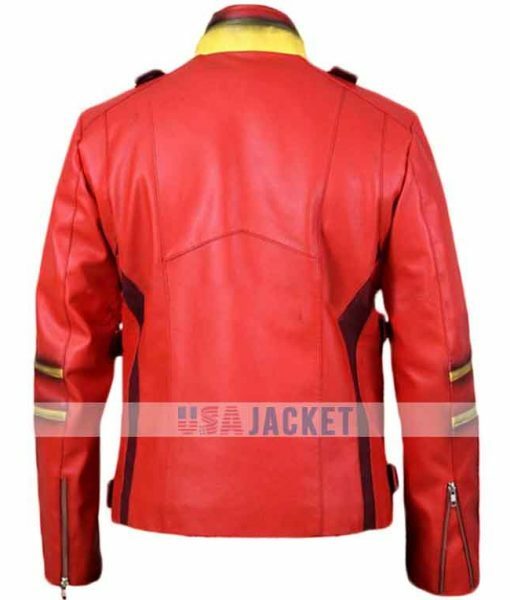 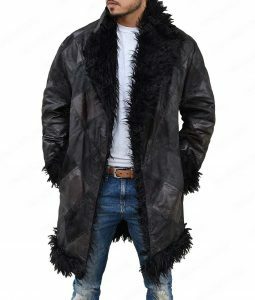 Firestorm Legends of Tomorrow Jacket is produced in PU leather, including viscose lining and hemline on bottom. 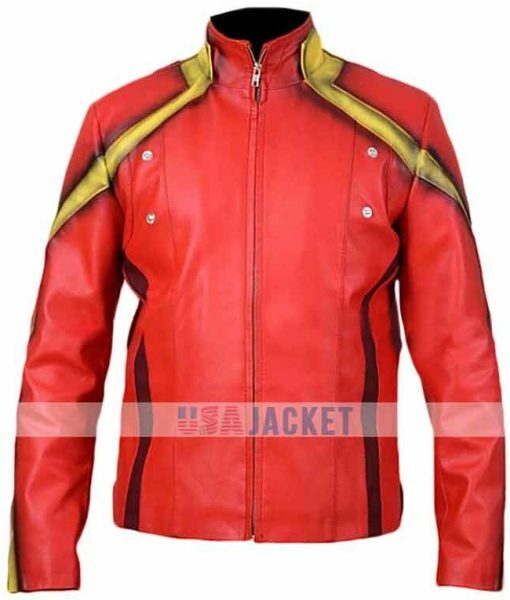 This outfit contains stand-up collar, firestorm logo on chest, front buttoned closure, long sleeves with zipper cuffs and hemline on bottom. 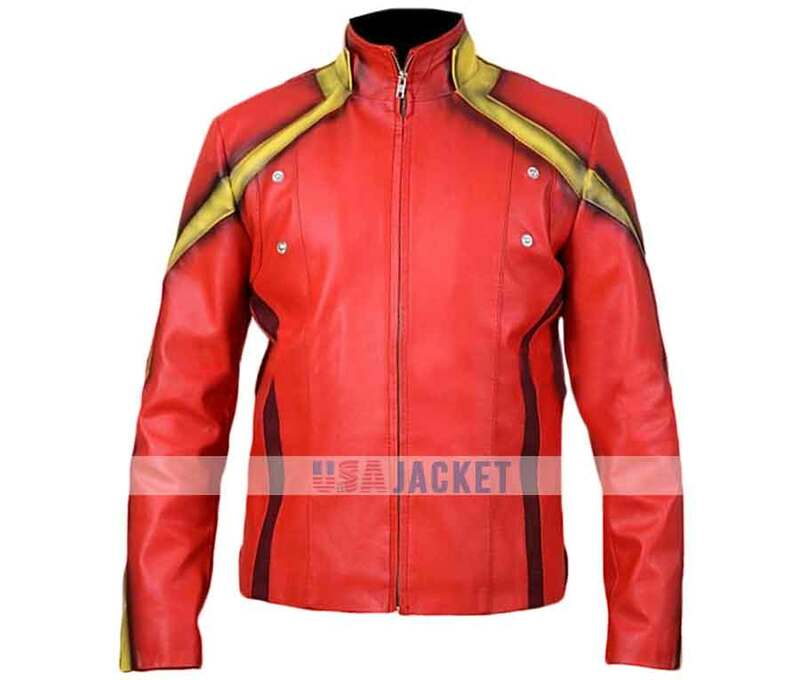 This apparel is red and yellow in color.